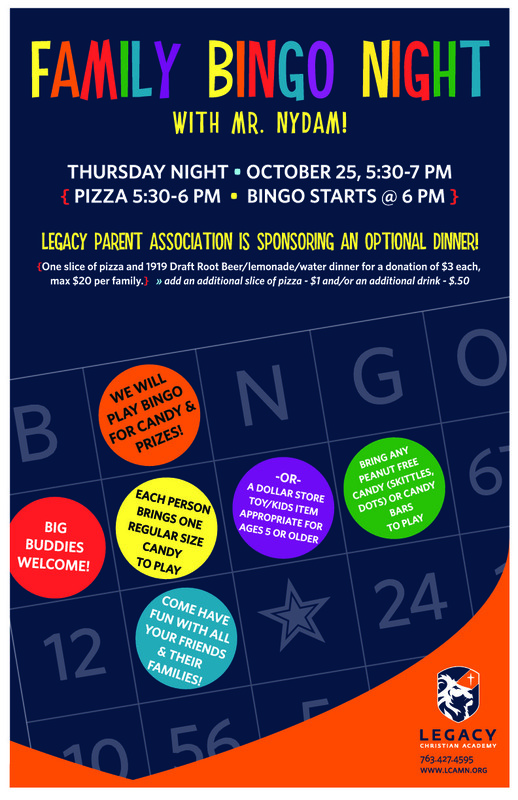 Play BINGO for candy & prizes! Admission is 1 regular size peanut-free candy item or dollar store toy appropriate for ages 5+. 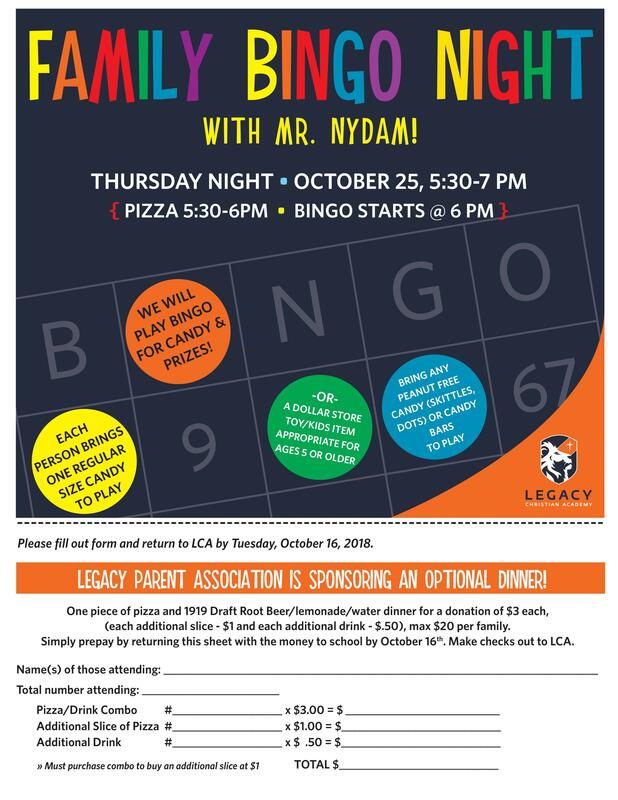 Pizza dinner sponsored by the Legacy Parent Association. One large slice of pizza and 1919 Rootbeer/Lemonade/Water for $3.00 each (add additional slice for $1.00 and/or additional drink for $0.50). Max $20.00 per family. To play bingo, bring a full size peanut-free candy item (taffy, licorice, candy bar, etc.) or a dollar store item appropriate for ages 5 or older.